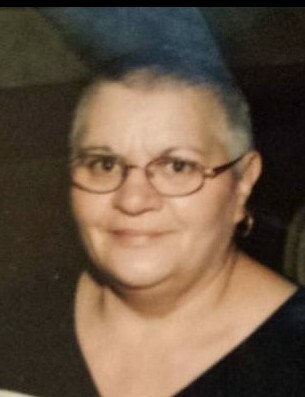 Maria “Mia” M. Ferreira, age 71 of Taunton, passed away on January 29, 2019, just one day prior to her loving sister Aida (Ferreira) Andrade at Morton Hospital with her loving family by her side. Born in Sao Miguel, Azores, she was a daughter of the late Arsenio and Urania (Borges) Ferreira. Ms. Ferreira enjoyed spending time with her large Portuguese family around her kitchen table eating papo secos e queijo. Her kitchen was the center of the family. She is survived by her siblings; Nelia Sousa, Nair Sousa, Manuela Paiva, Helena Dias,Carlos Ferreira, Mario Ferreira, Fernando Ferreira, Madalena Edwards and her uncle Jaime Borges. She was also like a loving mother to all her many nieces and nephews. She was a devoted dog mom to Brady. Both Maria’s and her sister Aida's funeral with visitation will be held together on Saturday, February 2, 2019 at 8:30 from the Silva Funeral Home 80 Broadway (at Saint Mary’s Square) Taunton, with a Mass of Christian Burial at 10 am in Saint Jude the Apostle Church on Whittenton Street in Taunton. Interment will follow in Saint Joseph Cemetery. For expressions of sympathy, to sign an online guestbook, or to light a memorial candle, vist www.silvafuneralhome.com.